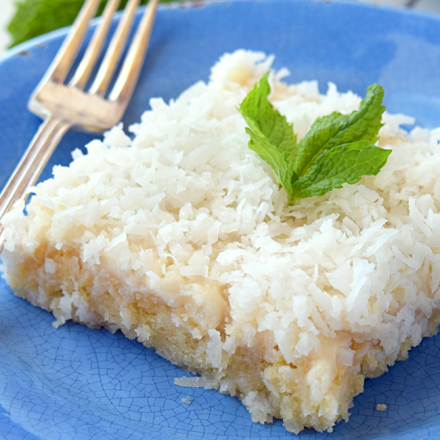 Incredibly delicious, super moist, Coconut Sheet Cake topped with a perfect Coconut frosting. As any good potlucker knows, you can’t just bring any dessert to a potluck. There’s a trick finding the right recipe, a balance that has to be just right. You want something that can easily be made into a large batch. But you also want something that will be popular enough (read: delicious enough) that you don’t take a bunch home. (The last thing I need in my life is to bring home two pans of brownies.) Today’s recipe is a perfect fit. 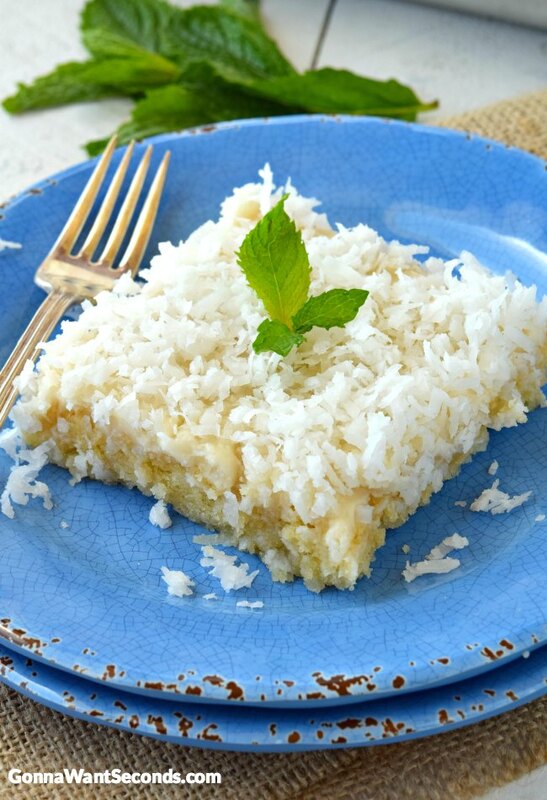 This coconut sheet cake is easy to make and serve, while simultaneously being absolute, soul-filling-ly delicious. I’ve always loved the simplicity of sheet cakes. It’s as easy as making the batter, spreading, cooking, and adding frosting. However, sometimes sheet cakes can end up too dry and crumbly. It’s an unfortunate side effect of making a cake so thin. PIN IT TO YOUR CAKE BOARD TO SAVE FOR LATER! This is a cake for those with a sweet tooth. 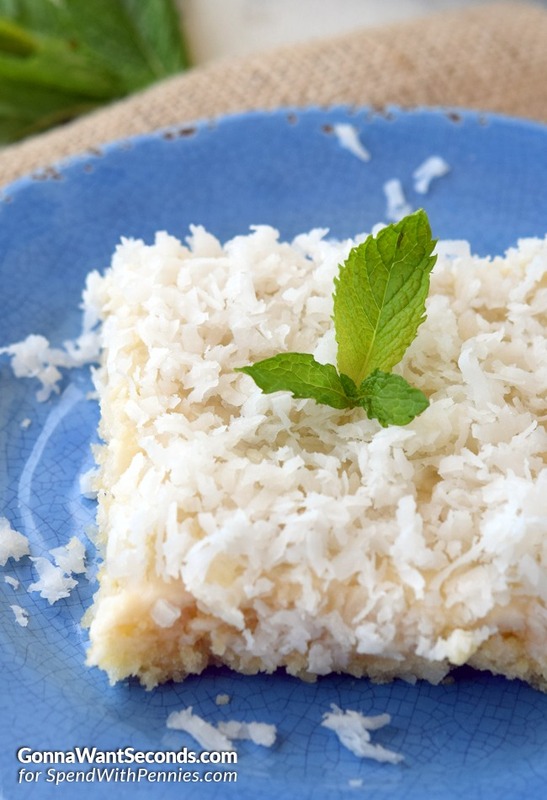 I would describe it as “very sweet.” The shredded coconut on top pairs really nicely with the sweet cake and frosting. It also helps to cut that sweetness down a little. Don’t skip it! A great way variation that will fancy-up this cake adding fresh fruit as a topping. Raspberries especially taste wonderful with the shredded coconut already on top. Just go to your local grocery store/farmer’s market and pick up a container of fresh raspberries. Then, top every slice. It’s that easy. Using eggs that are a room temperature is a good idea. This is so there’s much less chance of them cooking when added to the saucepan. The sour cream in this recipe is a really nice ingredient. It does a lot to help sure everything binds together in that dense, moist cake texture you want. I go ahead and use full-fat sour cream. The full fat adds a really nice (and necessary) richness that helps to balance out this very sweet cake. When you’ve completed the batter, don’t worry. It’s supposed to look like that. This recipe makes a really runny batter. This is not a mistake. In fact, it’s part of what gives this cake its awesome texture. Make sure you use a full 10 x 15 pan. Trying to use a 9 x 13 won’t work. The cake will not cook properly. It is important to cook this cake through all the way. A cake with this moist of a texture won’t stay together—or taste very good—undercooked. Cook the cake until the top has a nice golden color. The old toothpick method will help here as well. Just insert a toothpick into the very center of the cake. If it comes out completely clean, then your cake is cooked through. Preheat oven to 375 Degrees. Spray a 15X10X1 inch baking pan with nonstick cooking spray. Bring butter and water to a boil in a large saucepan. Remove from heat and mix in flour, sugar, flaked coconut, eggs, sour cream, coconut extract, vanilla, salt, and baking soda. Stir until mixture is evenly combined. Pour batter into prepared baking pan and bake 18-22 minutes (until the top is nicely golden and a toothpick comes out clean). Meanwhile, in a medium saucepan, add milk and ½ cup of butter and bring to a boil. 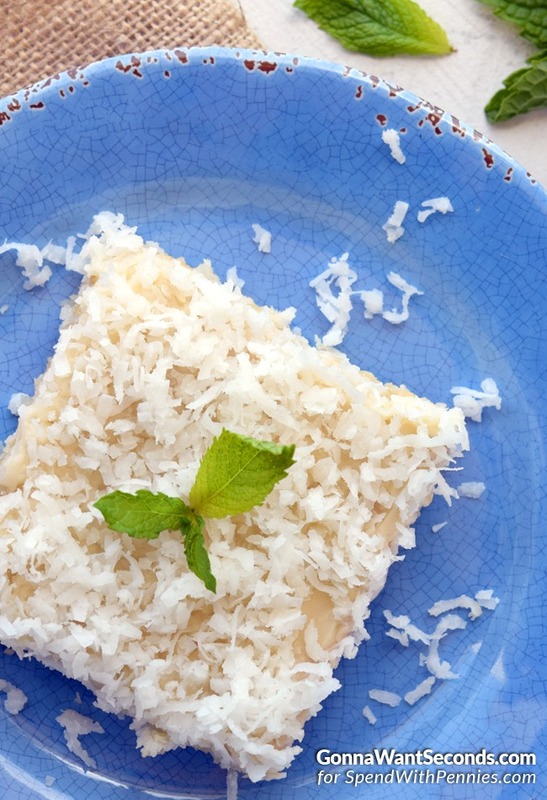 Remove from heat and stir in confectioners sugar, coconut extract, and vanilla until smooth. 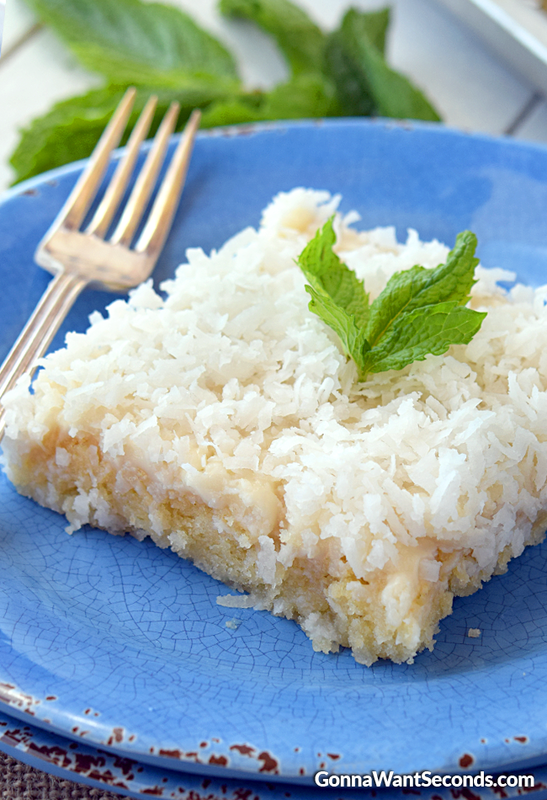 Pour icing over warm cake then immediately sprinkle with flaked coconut. Cool completely before serving. Peach Dump Cake – Loads of luscious fruit marry a warm, buttery cake for a sweet, effortless ending to any meal. Hummingbird Cake – A touch of tang in the cream cheese balances the cake, along with a generous garnish of more chopped pecans! Coca-Cola Cake – Our Coca-Cola Cake has been a Southern tradition for generations. A sweet, fudgy, crazy moist cake with a thick fudgy icing. Quick and easy to put together! Apple Cake – Apple Bars with caramel glaze are the perfect melt in your mouth combo of tart and sweet. Packed with Granny Smith apples coated with cinnamon. I live in Wyoming and need high altitude directions, can you help? Hi Sandra! I’m so sorry I live at sea level and have no experience converting recipes for high altitude. Wish I could be more helpful! The frosting has milk and butter but doesn’t list in the ingredients. . How much milk? Please tell me the quantity of milk that you used in the icing recipe. the directions call for milk and butter in the icing .. the ingredient list has neither ..help! How many grams or ounces is your cup of flour? This cake looks like something my husband would. I love the tips you gave, but there no directions.